The picture was taken by Roy's son, Patrick, on his cell phone sometime during the Christmas holidays of 2004. 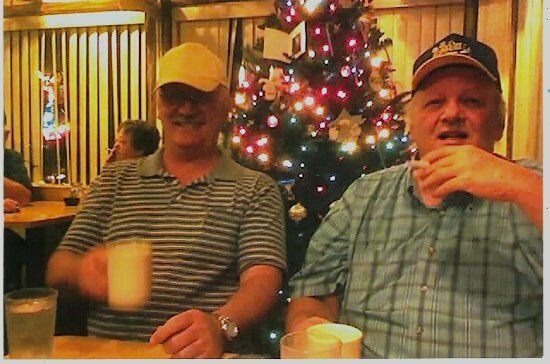 Roy and Mike were on one of their almost nightly coffee rendezvous' at the Silver Spur Restaurant in Gladewater. The other folks in the background are fellow diners.